Giving online is quick and easy. 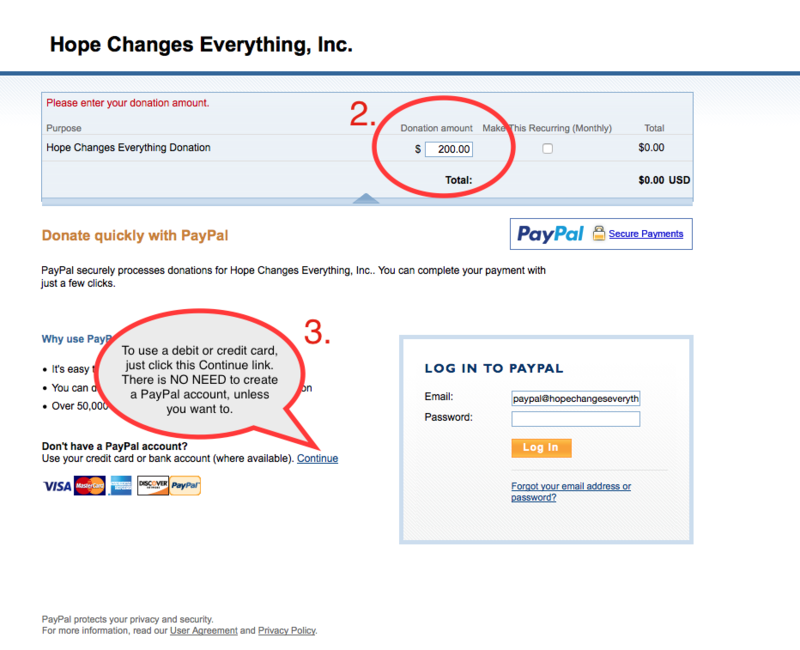 Follow these steps to use a debit card or credit card for your donation. 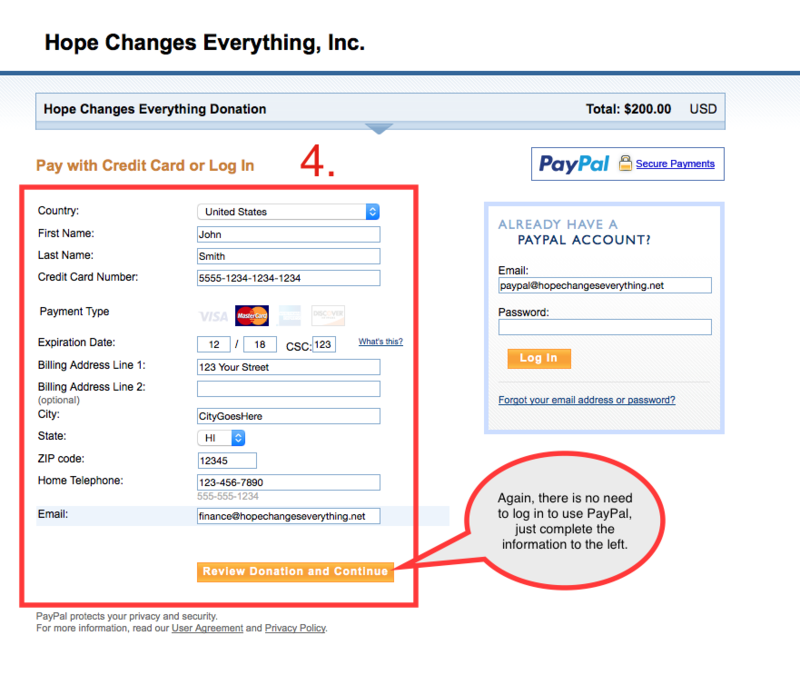 We use PayPal to process card donations - you do NOT need a PayPal account to give online. 1. Click Donation on anywhere on the site. 2. Fill in your donation amount. 3. To use your debit/credit card only, click Continue under "Don't Have a PayPal Account". 4. Enter your billing information. 5. 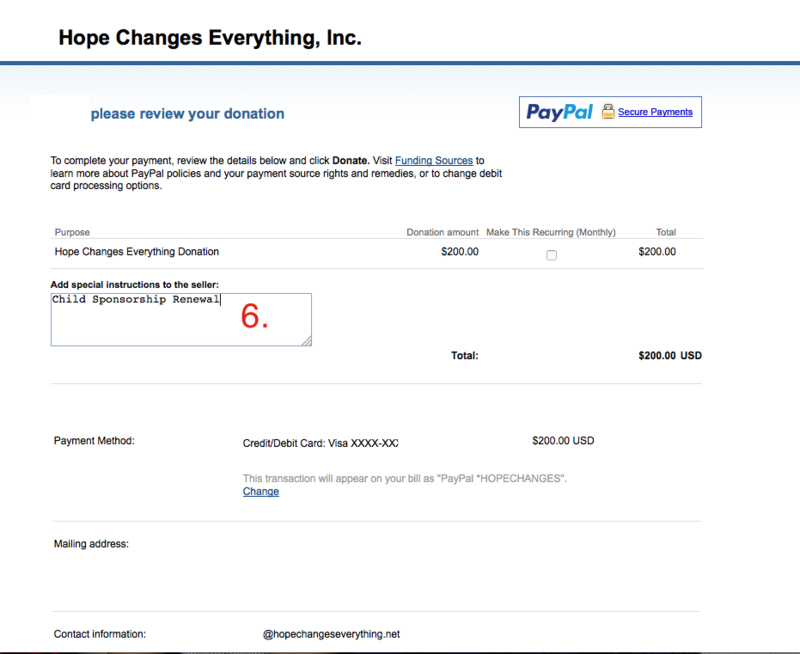 If you're donation is for something specific, click "Add special instructions..." link. 6. Indicate what your gift is for, if needed. 7. You're done! Thank you for your donation. Please print your confirmation for your tax records. 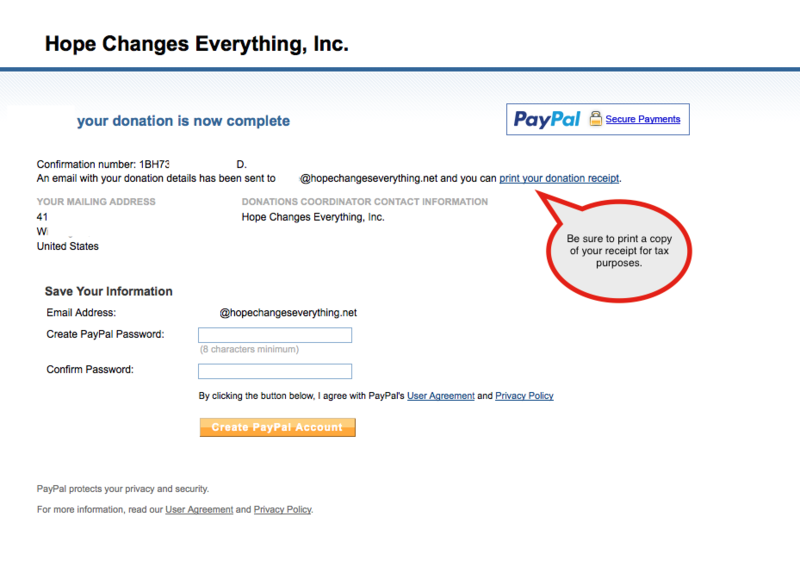 You do not need to log in to Paypal on the confirmation page. Simply exit your browser and begin praying for the children who will soon experience hope, because hope really does changes everything.